Throughout 2017, the app economy has continued to grow phenomenally, redefining the digital landscape in its wake. A vast majority of companies and entrepreneurs realize that mobile apps are no longer a value add-on, but a necessity for sustenance and growth. Mobile is, simply put, the best way to meet customers. While large organizations are using mobile applications for branding, direct marketing, increasing customer engagement, small and medium-sized enterprises are also following the mobile route to get a foothold in market. Needless to say, the app economy continues to expand and grow at a furious pace, and figures illustrate the same. The number of free apps downloaded rose to 253.91 billion in 2017, as compared to 57.33 billion downloads in 2012. Similarly, the number of paid apps downloaded grew to 14.78 billion in 2017 as opposed to 2.89 billion apps in 2011. Naturally, the increase in number of downloads has resulted in increase in app revenue. App revenue is projected to grow to $188.9 billion by 2020, from $69.7 billion in 2015. As the mobile app industry keeps on its spectacular trajectory of growth, 2018 will see several changes in the overall ecosystem. Apps will become faster, sleeker and better. As mobile app developers we understand that having a point of difference sells, which is why developers are on a constant lookout for more advanced software, better hardware, and more sophisticated development tools. 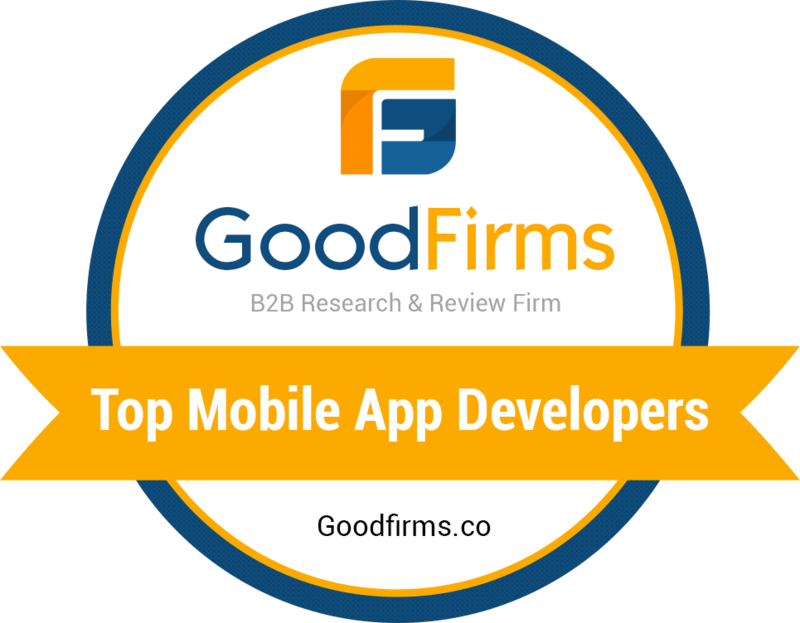 Globally, the mobile app development market is expected to grow at the rate of more than 14% from 2016 to 2022. Internet of Things (IoT) has been constantly in news for a last few years. With its impact ricocheting over various domains such as retail, automotive, healthcare, education, communication, agriculture, data analytics as well as planning of smart homes and smart cities, IoT is bound to make a massive impact in the world of app development this coming year. Similarly, wearables (both devices and apps) have captured users for their utility as well for creating a fashion statement. With Apple, Samsung and Google smartwatches experiencing high demand, it is likely that wearable apps will reign 2018, especially in healthcare domain. Ecobee launched its fourth-generation smart thermostat, the ecobee4, in 2017. Similarly, Nest is eyeing an early-2018 release for its smart video doorbell, which will have high-end facial recognition features. Amazon, too, has forayed into the IoT space with devices like Echo, and its companion app, Alexa. Analysts predict that IoT will grow from $157.05 billion in 2016 to $661.74 billion by 2021, at a Compound Annual Growth Rate (CAGR) of 33.3%. According to International Data Corporation (IDC), the wearable devices category will grow at a CAGR of 20.3%, with 213.6 million units being shipped in 2020. With the number of connected devices rising at exponential rates, the onus is on developers to come up with powerful companion apps to monitor these smart gadgets and systems. The way technology develops over time reflects its effects on people’s lifestyles as well. Customers widely use internet banking or credit/debit card for their offline and online purchases. However, they are slowly warming up to mobile payments with the introduction of Apple Pay and Google Wallet. Gradually, similar mobile wallets such as Walmart Pay, Samsung Pay, Paypal, Paytm and ZipCash are also creating a strong base in mobile wallet economy. According to a market report by Technavio, the global mobile wallet market will grow steadily during the next four years and post an impressive compound annual growth rate (CAGR) of more than 35% by 2021. To pique the convenience factor of online shoppers, security of mobile payments needs to be bolstered – this is something developers should be taking an active interest in. Technology is all set to make the smartphone an even smarter device in 2018. Grabbing limelight with Pokémon Go in 2016, Augmented Reality (AR) is no longer limited to gaming and digital entertainment apps. In fact, both AR and Virtual Reality (VR) have huge potential to transform a diverse range of industry sectors. Both Google and Apple are doing their bit to improve augmented and virtual reality support on their respective platforms. For instance, Virtual reality was added to macOS High Sierra platform in 2017. Gradually, a distinction might emerge – with VR being used increasingly for desktop systems, and AR being the go-to tool for mobile development. Similarly, Google released improvements to its AR SDK called Tango in August 2017, which allows “computer vision to enable mobile devices, such as smartphones and tablets, to detect their position relative to the world around them without using GPS or other external signals”. Moreover, Microsoft played with mixed reality with its HoloLens tech, which allows users to manipulate real objects with holograms. It is soon expected to hit mainstream market as multiple manufacturers including Microsoft release headsets based on this technology, and the demand for apps which support this hardware will grow eventually. A Fortune article predicts that AR and VR will generate $150 billion in revenue by 2020, presenting a potential market for developers and enterprises to explore. For a second, imagine the impact of marketing bolstered with AR graphics and videos presenting your app. A leading example is Amazon Go, which is already leveraging the trending technology to disrupt the retail sector. TechCrunch delegates that mobile AR could become the primary driver of a $108 billion VR/AR market by 2021, with AR taking the lion’s share of $83 billion and VR $25 billion. Uber changed the face of cab services on demand. Slowly but certainly, similar on-demand apps cropped up in all verticals, some of them redefining the entire sector – such as, Airbnb for hospitality; Grubhub, FoodPanda and Swiggy for food delivery; Peapod, BigBasket and Nature’s Basket for grocery; and Hello Alfred, Helpling and UrbanClap for home services. Such on-demand apps promise prompt and reliable services, easy availability and payments. People are turning towards mobile apps to quickly avail different types of important services. Popular categories of available on-demand apps include laundry, car cleaning, taxi, food delivery, and booking for flights and accommodation. Beauty and skincare services as well as emergency healthcare services are also catching up to meet user requirements. However, in the established and expanding categories alike, a lot of scope remains for qualitative improvement and the onus lies on third-party developers to analyze such requirements and deliver the solutions. With the remote-working culture booming in young professionals, increasingly more organizations are embracing the “Bring Your Own Device” model, and have already started investing in BYOD for employees. This results in an upsurge of demand for hybrid enterprise apps. Hybrid apps are known to run in the app form, but are essentially mobile websites, thus reducing the cost and speeding up the mobile app development process. Also, Gartner predicts that 70% of software interactions will take place via mobile apps in enterprises by 2020. For many business users, especially those in the field or at remote locations, applications will go from mobile first to mobile only, in the same way cloud supported applications became cloud only applications. This also indicates that mobile apps are not just about utility, but rather a norm for enterprises. A few popular enterprise apps which lead the market today include Slack, Asana, Jira, Toggl and Workable. Mobile app development in 2018 is leaning more on direct cloud interaction, since the technology presents benefits such as streamlined operations, reduction in hosting and equipment costs, enhancement in storage capacity of apps, increased collaboration and productivity. The cloud-integrated and/or cloud-only apps fetch data from the cloud, thereby reducing the load on the internal memory which will prove to be beneficial for large as well small group users. Cloud-based mobile apps are especially useful for enterprises, as they address the data security issues inherent in BYOD models. With sensitive corporate data locked down on the cloud, the chances of it being stolen from a relatively unsecure employee devices will be nonexistent. A few apps which lead the market today include Google Suite, Adobe Creative Cloud, Dropbox and Salesforce. Android instant application – an app, which can be operated on all Android devices without installation – is an important mobile app trend to watch out for in 2018. At its most fundamental level, managing smartphone storage (and the lack of storage space, thereof) leads to app abandonment. To address the issues, app streaming technology was built for Android devices. Instant apps, thus built, enable users to check out all the main features of an application, without having to install it, boosting engagement and accessibility. This opens up great possibility for app developers and reduce user acquisition costs, improve user retention, and increase the average lifetime value of a customer. While there are only 100 apps available right now for preview on Google Play, that number is forecast to rise to 100,000 by 2020, according to a Bloomberg report. Released in May 2017, Android Instant Apps have already been installed in more than 500 million devices worldwide. With the help of Android instant app, Vimeo has increased the session duration of their app by 130% in 2017. Mobile apps are increasingly becoming more intelligent as smartphones come loaded with beefier hardware. This year will build on this and see a lot of revolution around the concept of machine learning and artificial intelligence. Machine learning enables apps to recognize complex patterns and analyze large data sets and to make intelligent decisions, predictions or recommendations based on these data, using a special algorithm. Thanks to open source machine learning platforms developers can also build apps which will recognize your emotions or incorporate features like speech recognition and facial or motion detection. Similarly, artificial intelligence is making apps more contextually aware. From photo filters to turn a boring photo into a work of art (Prisma) to continuous conversational interfaces like Siri, Alexa, Cortana to complex business processes like marketing and analytics, AI will massively impact mobile apps this year. As each and every component of technology sector advances to employ Artificial Intelligence to its processes, the AI market will experience a revenue growth of more than $47 billion in 2020. In another study, Gartner suggests that cloud based neural networks will handle over 40% interactions between apps and users by 2020, and 85% of all customer interactions won’t involve customer service reps. While chatbots are a subdivision of Artifical Intelligence, they deserve a special mention owing to their diverse utility factor. With giants like Facebook (Messenger Bots), Google (Allo), Microsoft (Azure Bot Service) opening up their platforms to third party bots, mobile app developers have a vast ground to play upon. Blockchain – the immutable, distributed ledger technology that forms the basis of bitcoin and other cryptocurrency transactions – has garnered more than a few curious glances in recent times, and rightfully so. The technology records a company’s information (listed as blocks), none of which can be altered without changing all subsequent blocks and the collusion of the network, eliminating the scope of data tempering. The value of global blockchain market is expected to grow up to $7.74 billion by 2024. According to a study conducted by IBM, nine in ten government firms are planning to invest in blockchain for financial transaction management, asset management, contract management and regulatory compliance purposes. Another research by Infosys says that one-third of banks are expected to adopt commercial blockchain in 2018. That said, it’s imperative to expect tighter security as smartphones are progressively handling more confidential and sophisticated data. Undoubtedly, blockchain-based security measures will soon be implemented on mobile apps as well. Expectantly, blockchain should emerge as important disruptor in 2018 and near future, in the overall digital transformation, and not just limited to financial domain. The future for mobile apps certainly looks bright with lots of exciting and innovative possibilities. However, to succeed, make sure that you choose an ideal mobile app development partner to create a high-quality mobile app, who can balance your business goals with users’ needs. While the number of downloads are increasing exponentially and more people are paying more money to develop and buy apps, the user have started to experience fatigue with poorly built apps. Users regularly use few apps, with 24% apps used only once in 6 months in 2017. This alarming fact makes it necessary to partner with a mobile app development firm which can stay agile with the application development trends and align with your product innovation and new business models. To know how we can help you stay ahead of the game in 2018, write to hello@codetoart.com for a consultation. Thanks for sharing this informative blog with us. great stuff. I like your content of list you included. please keep sharing such innovative ideas with us.